Rail Analysis : What type of challenges were faced in the construction of the first phase of the metro project ? Mr. Bansal : There have been several challenges which were dealt with head on during the construction and implementation of the project. Some of the challenges were. a) Elevated : Steel Girders across Railway Tracks at Guindy At Guindy, the Corridor –I of Phase 1 of the CMRL project passes over the existing high traffic Southern Railway Track. In view of the Heavy Rail Traffic, steel girders of span 69 m and 36 m have been provided. These are the only spans which are made of steel, all others being of concrete. Most of the critical works over the tracks were done at night after getting line blocks from Southern Railway. Stringent safety precautions were maintained at all times and no accidents occurred during the construction. b) Under Ground : The project runs from Egmore to Chennai Central, High Court to Chennai Central, Mayday Park to Chennai Central. These tunnels have been built in coordination with Railway Team as the tunnels pass below the Operational Southern Railway Line; Intensity Instrumentation Monitoring had been performed on routine basis during the tunnel drive. Passing of Tunnel under/vicinity of Heritage Building etc. : Madras High court, LIC building, Ripon building, Egmore Railway Station, St.Andrew’s Church etc. Heavy Traffic : Traffic Constraints on Logistics/Storage. Traffic Diversion Schemes were implemented in stage wise to enable construction of stations on the on-road locations..
Non-performance by some of the contractors resulted in termination and re-award of balance works. 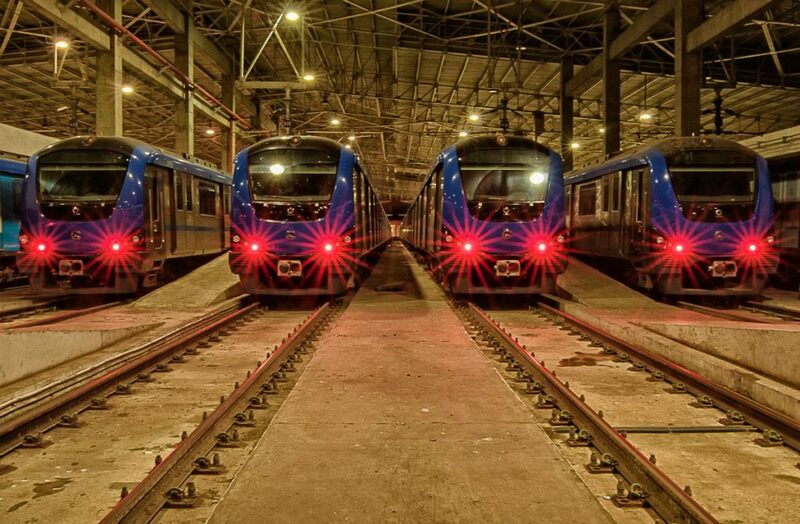 Rail Analysis : What are the future corridors of Chennai Metro Rail and what are the expected completion timelines for the same ? Mr. Bansal : In order to meet the future traffic demands, the expansion of mass transit corridor is an imperative. A standalone Metro System of 54.1 Km network of Phase 1 by itself, is not sufficient to address the traffic needs of Chennai. There is a case for considering expansion of Mass Transit options. Nationally and Globally, it is seen that the metro network expands progressively to cover entire city. In this Context, Government of Tamil Nadu has planned to expand the Metro Rail System. Accordingly, the Detailed Project Report for Phase II has been prepared. 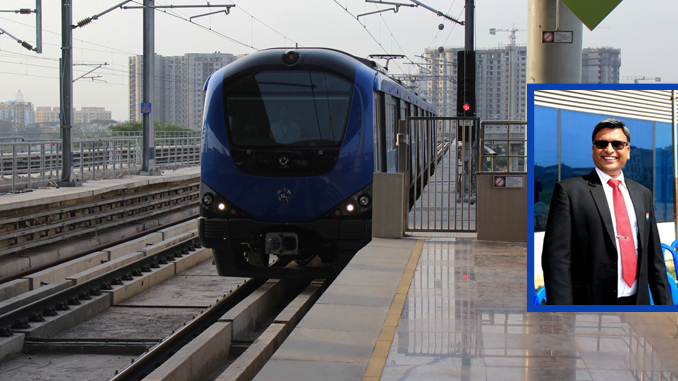 The proposed Chennai Metro Phase II is covering a total length of 118.9 Km and consisting of Three Corridors. 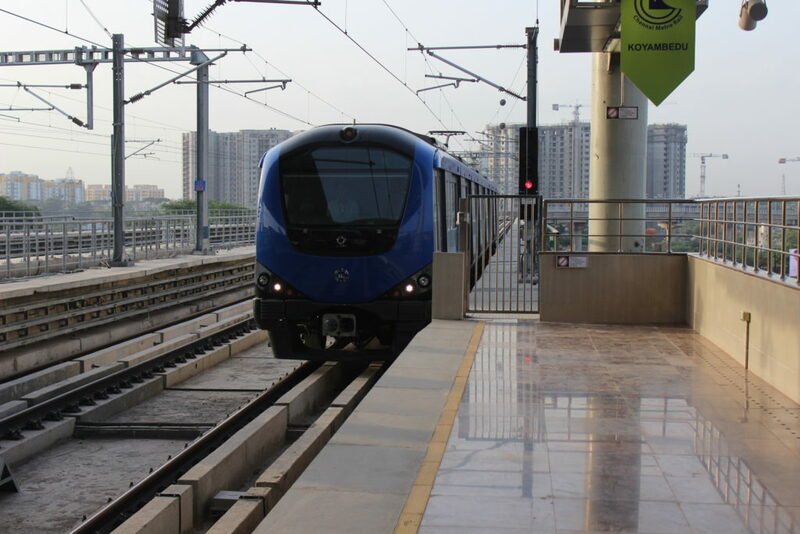 Rail Analysis : Please inform us more about the Phase-2 project of Chennai Metro Rail? When will works for the phase-2 start ? Mr. Bansal : The proposed Chennai Metro Phase II is covering a total length of 118.9 Km and consisting of Three Corridors. Out of 118.9 km Network, 76.3 km is elevated and 42.6 km is underground. There are 128 stations planned (i.e. 80 elevated and 48 underground stations). The Total estimated completion cost of the project is Rs. 69,180 Crores. The estimated ridership for the year 2025 is 19.2 lakhs. The maintenance facilities for Corridor 3 & 5 is proposed at Madhavaram and a minor depot proposed at Siruseri Sipcot area. The maintenance facilities for Corridor 4 is proposed at Poonamallee. As per Detailed Project report the expected time line for completion of this project is 2025-26. 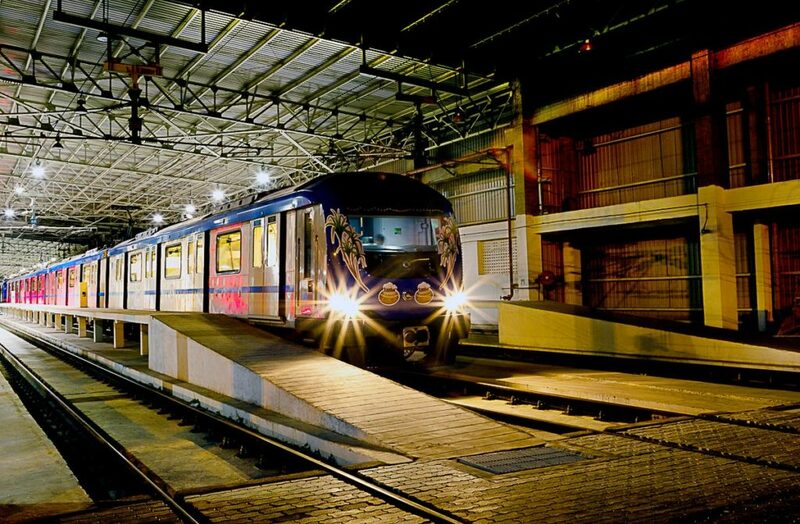 Rail Analysis : What are your plans to integrate Chennai Metro with other modes of public transport like Bus and Auto ? 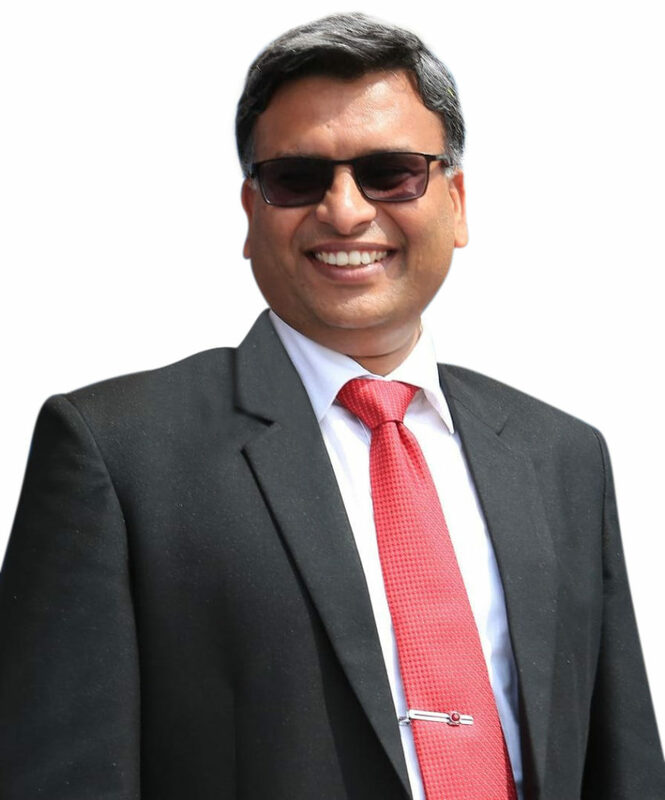 Mr. Bansal : Chennai Metro Rail Limited has been advocating Multi Modal Integration (MMI) to ensure better mobility to metro users and the travellers using Public Transport. Multi Modal Integration as a strategy has been built into the Project Design stage itself. Rail Analysis : What would be the role of CMRL in future metro projects in the State ? 118.9 km with 128 no’s of stations. With the completion of the entire phase 1 and also being the recipient of the prestigious Platinum Rating from Indian Green Building Council (IGBC) for all 32 Metro Stations, CMRL has added another feather to its cap. CMRL has always been committed to achieving the intended vision and mission of the organization with highest degrees of commitment and also with implementation of several effective and innovative techniques for the benefit of Chennai Public and the Project. It is with great pride, It can be said that CMRL would become the face of change in the public transport system in Chennai City by providing seamless integration with other modes of transportation. This interview shall be covered in our March 2019 Edition Magazine with more details on Train 18 . Click Here to advertise in the magazine or know more on the same .